With Readly you can read Losange Magazine (English) and thousands of other magazines on your tablet and smartphone. Get access to all with just one subscription. New releases and back issues – all included. 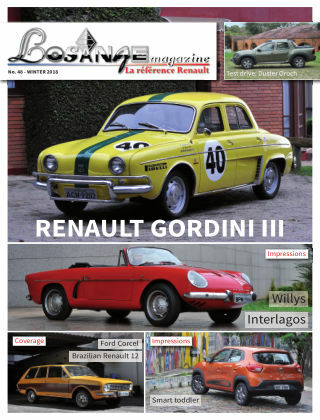 The magazine for Renault fans, new or old, whether it be cars, trucks, buses, tractors, planes, trains, marine engines, miniatures and important persons, you can not ignore Losange Magazine.